Curatorial Advisor to Lead Curator James Peto concerning overall exhibition structure and science content on this important exhibition looking at information design and graphics; curation of the Cosmos section of the exhibition relating to the history of astrophysics and the development of the universe. This wonderful and wide-ranging exhibition, curated by James Peto, included everything from street signs to geological maps, morse code, pie charts, timelines, timetables and teaching models. The exhibition concentrated on areas of information which affect all of us: “information that helps us understand what we are, where we are and how we get from one place to another, literally and metaphorically.” The show set out to “explore the history and evolution of information design and consider the extent to which advances in knowledge and technology have affected the way that designers approach their fundamental task” (quotes from the exhibition introduction). 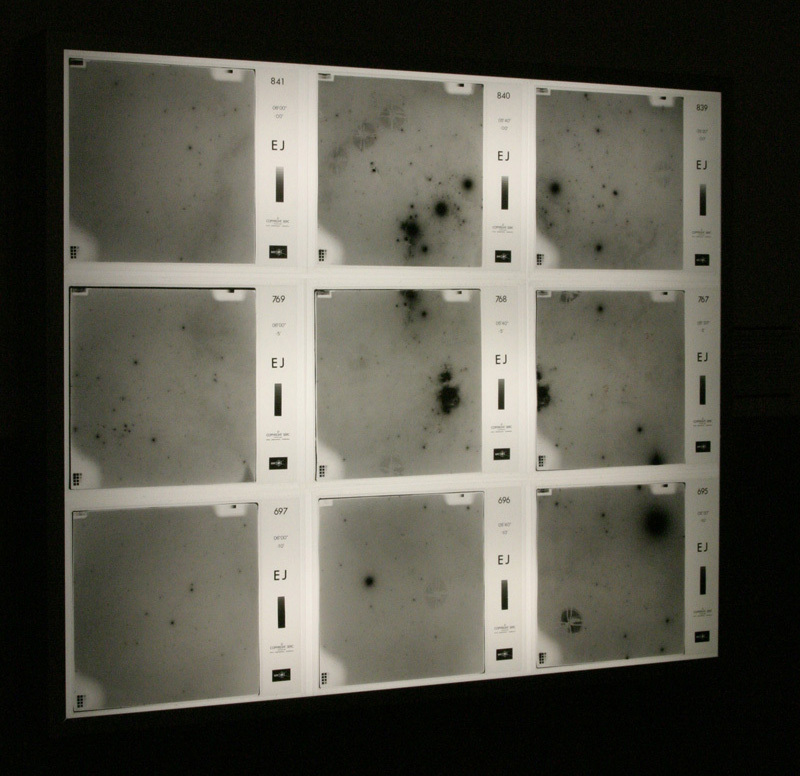 James consulted me for advice about the science fields he wished to explore with this interdisciplinary exhibition. These ranged from astronomy to anatomy, mathematics to meteorology. 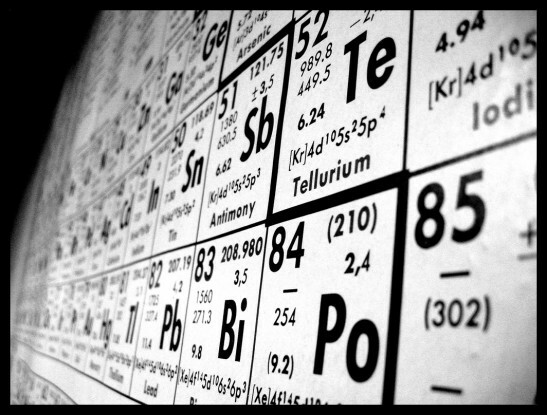 The design of information of course involves the practice of science as well as science communication: without the use of the information design technique of the grid, for example, Mendeleyev would have had difficulty discerning the structure of the periodic table and predicting those elements which had not yet been discovered. 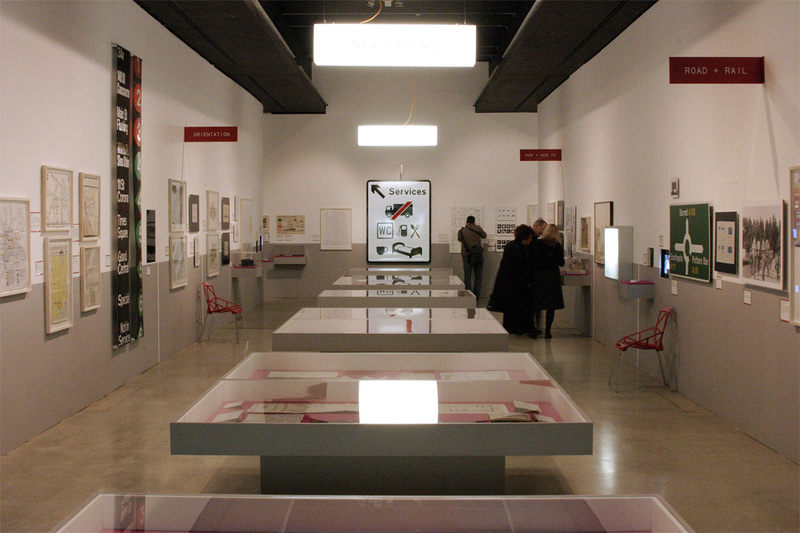 The exhibition was loosely structured on a scale from the cosmic to the microscopic, taking its cue from one of the most significant information designs of the 20th century: Charles and Ray Eames’ Powers of Ten, which was first produced as a film in 1968, and then published as a book in 1982 by Scientific American. I curated the COSMOS section of You Are Here, which was the show’s ‘opener’. 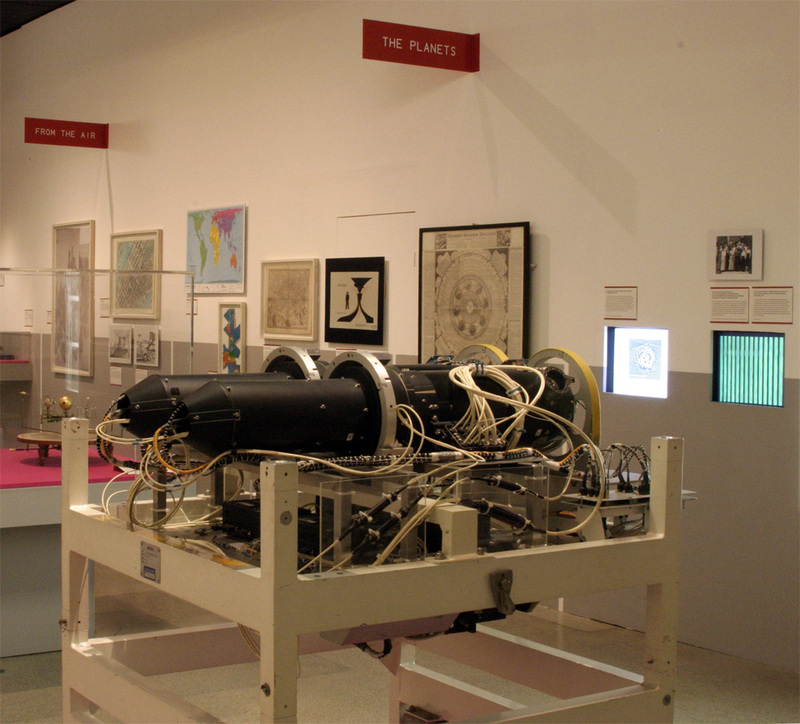 It was an exciting way for me to build a bridge between a major cultural museum and hard-science aspects of astrophysics. Having spent the previous year at the Institute of Astronomy of the University of Cambridge as part of my NESTA Fellowship, I knew that the processes by which astrophysicists create the beautiful images of distant stars and galaxies is even more amazing than the images themselves. 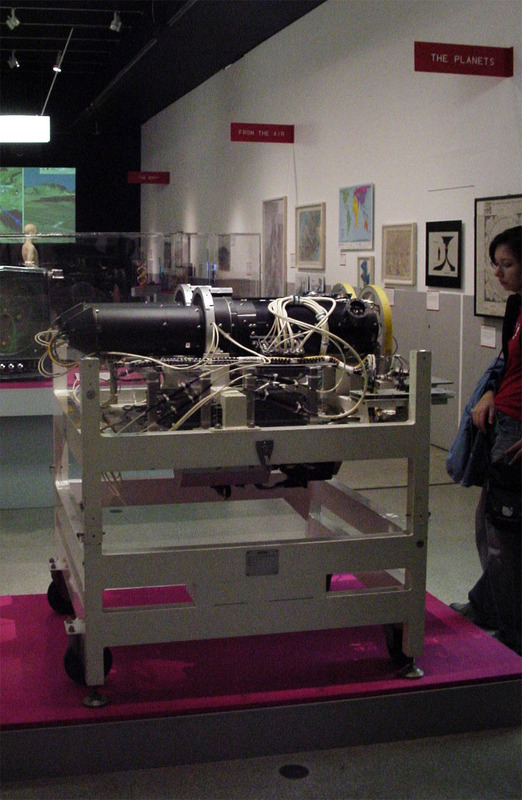 It involves complex particle detectors mounted in space stations, huge databases of numerical information, algorithms to analyse those databases, and high-spec software to polish up the final product. There is a long and fascinating history to unravelling the messages starlight brings us, and it is a history of information design. 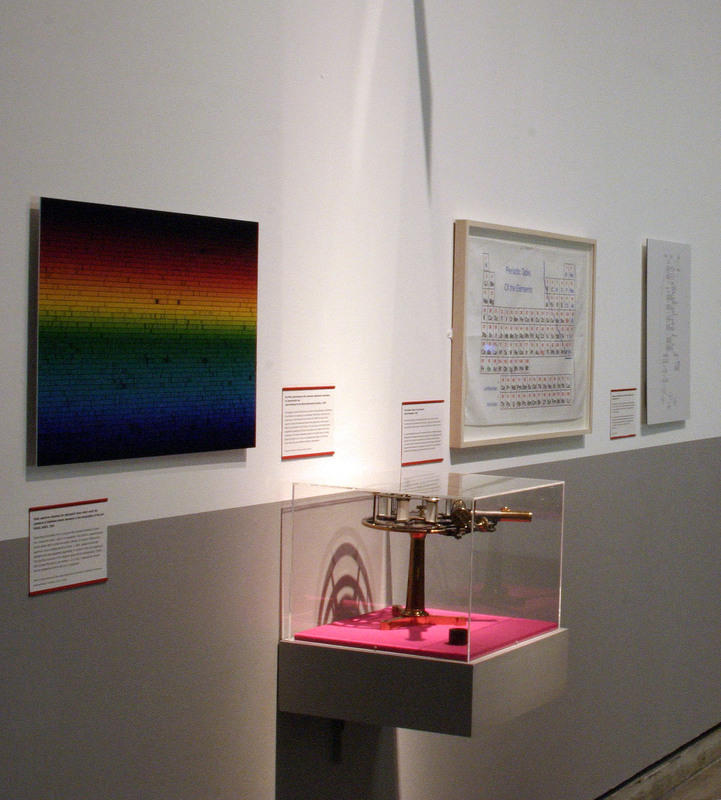 My COSMOS section included a range of objects from an 1880s Browning spectroscope (on loan from the Museum of the History of Science, Oxford) to one of the first photon counting devices sent up a hundred years later on the Hubble Space Telescope (on loan from Alec Boksenberg and the Institute of Astronomy). Images included a photograph of the ‘Harvard Computers’ — an extraordinary group of women mathematicians who effected many of the photographic plate measurements, calculations and classifications of stars and their spectra at Harvard in the late 19th and early 20th Centuries — and a magisterial diagram of the evolution of the cosmos from The Book of Dust (1989) by the artist Agnes Denes. Below you will find three ‘photo-focused’ references from my COSMOS section of the exhibition. The rest of the show, containing over 350 objects and images, was as rich and info-packed as the COSMOS section, but — sadly — there was no catalogue. Locating our world in the universe means decoding information conveyed to us by the laws of physics before we can formulate anything resembling a map. Light itself is both organising principle and transportation vehicle for data about the composition and history of the cosmos. Light travels as packets of particles called photons in waves at a constant speed: these key facts help us unlock the mass of facts organised in light’s complex structure and behaviour. From this ultimate ‘medium’, astrophysicists can extract timelines of development from the big bang, the evolution of atomic elements, galactic maps, and more. Getting the information out of something often involves breaking it down into component parts. Light is no exception: the prism in a spectroscope bends visible light to show an orderly rainbow of colours. Without the spectrum colour-coding would not exist. 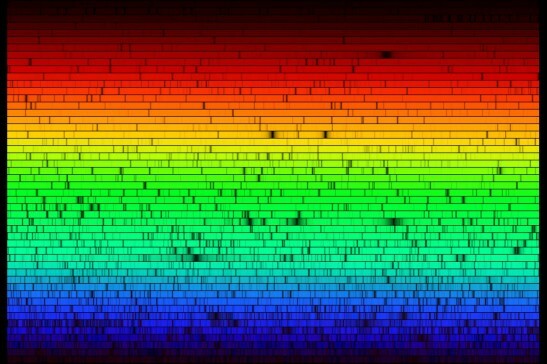 In 1814, Joseph Fraunhofer detailed dark lines appearing apparently at random in the sun’s spectrum. The startling accuracy of his diagram gave birth to astrophysics: others later proved the lines to be markers — a map — showing the various atomic elements of which the sun is composed. Spectroscopy techniques now extend far beyond the limited lightwaves visible to the eye. Southern Sky Survey showing Orion and its immediate region. UK Schmidt Telescope Unit of the Royal Observatory Edinburgh for the UK Science and Engineering Research Council and European Space Observatory, 1985 -1999 [The full ESO/SERC Southern Sky Survey in several wavelengths contains 1,956 fields] Thanks to Dr Mike Irwin, Director: Cambridge Astronomical Survey Unit, Institute of Astronomy/Cambridge. 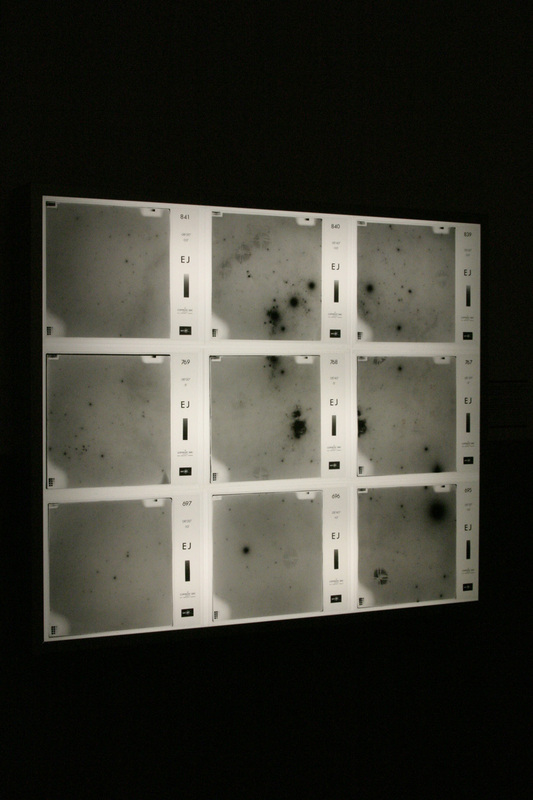 Taking pictures of the sky through telescopes began with photography itself and originally was limited to plates of particularly ‘interesting objects.’ This evolved into the All Sky Survey: the whole visible sky is divided into a vast image-grid. Astronomers measured and analysed varying intensities of the recorded light and distances between stars. By the 1980s scanners were systematically used to extract information from these pictures. Each plate generates hundreds of thousands of digits of raw numerical data. Long before a ‘pretty picture’ of a new astronomical discovery appears in a newspaper, an elaborate processing of data received from space missions has occurred. 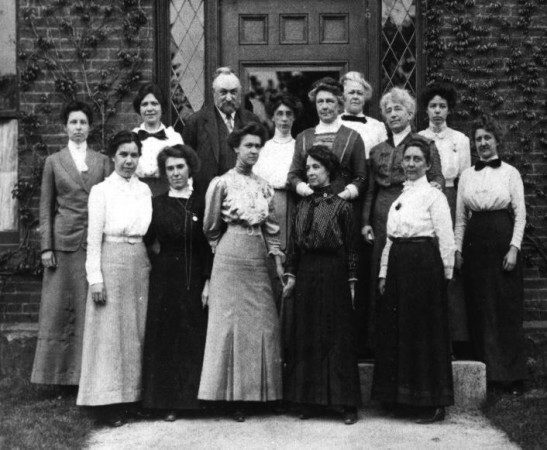 In the early 20th Century, many of the photographic plate measurements, calculations and classifications of stars and their spectra were done by an extraordinary group of women mathematicians known as the “Harvard Computers” decades before the computer as we know it was even conceived. The patterns they saw emerging from the sea of information they were hired to handle have become fundamental to the mathematics of data mining in current astrophysics. The work of these ‘information designers’ 100 years ago contributes structurally to how we model the evolution of the cosmos today.